Stop paying an absolute fortune for student trumpets that don’t deliver on quality. The RS Berkeley UTR180 is an ideal trumpet for players of all abilities but is mainly aimed at beginners and intermediate trumpeters. RS Berkeley band instruments allow all players to benefit regardless of their playing level. Musicians trust Berkeley to provide instruments that maximize their playing ability and improve the clarity, intonation and sound of their instruments, while protecting their investment with the finest material at affordable prices. 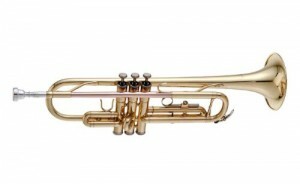 The RS Berkeley UTR180 stands out to most musicians because of its rich and unique sound; for this reason most music tutors will recommend this trumpet to their students. 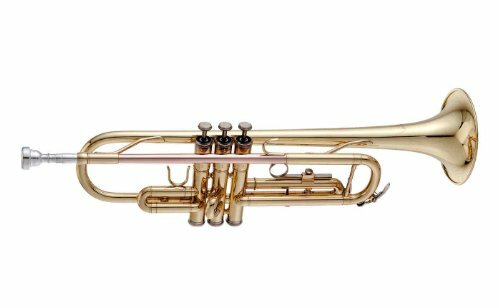 The RS Berkeley UTR180 University Series Trumpet includes the following features: Bb trumpet; three color brass body; .461 inch bore; 4 3/4” inch bell; monel valves; thumb saddle on the first slide; adjustable 3rd valve slide finger ring.